We are currently looking for parents to volunteer as coaches for this division. Please Contact Us if you would like to join our coaching staff. Bare in mind that we are all volunteers and without us there will be no divisions for our kids to play. 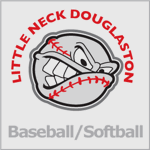 ©2019 Little Neck Douglaston Youth Club / SportsEngine. All Rights Reserved.